r.i.p TOFD, he only lasted 20 days. Why What? Sorry I'm Already Taken. Demon King Tingle is mine. DO YOU CHALLENGE ME. FINE THEN. I WILL BE YOUR MAN IF YOU CAN THINK OF ANOTHER GOOD ZELDA NPC TURNED EVIL. I haven't really been around, but thanks for the follow. Welcome to ZU. I actually have a theory about the Fierce Deity. 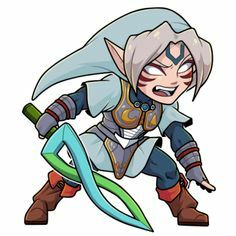 You might not like it, though; it involves Fierce Deity not being a dead person inhabiting a mask, like Darmani and Mikau, but rather a state of power for Link, much like the Giant Mask. No. Dude. That is literally the opposite of what I said. Ah, gotcha. The "true" threw me off. Anyways, did you know Fierce Deities are actually a Buddhist thing? Oh. Hey. A new guy. Hi. Welcome to ZU. A..Ar..Are you a staff member as well? No staff members here, kye-he-he. I feel like you've heard this before, but welcome to the ZU Forums! Why, yes, I am! I am the lead moderator for the Creative Corner, the place where all of the starving artists post their works lol. I'm also an Adopter, meaning I'm a personal guide and mentor for new members who request such a thing. And I run ZU's podcast, which is fun! I get around on here, a little bit. What brought you to our hallowed halls? EDIT never mind I thought this was a reply to my comment!! Do you know how to speak Hylian or just write and read? Neither tbh. I just knew the Hylian alphabet was a thing that existed, and thought using it to spell my username would make a cool signature. So I googled it to get an image of the complete Hylian alphabet and took individual letters from that. Out of interest though I replayed Twilight Princess recently and tried to decipher some of the Hylian script that you see in the game. Some of it does make sense, but some of it seems to be random letters. And oddly the sign outside Telma's bar says "BAR TERMA". Not sure why there's an R instead of an L, maybe a translation thing. Like Termina you mean? Hmm hadn't thought of that. Apparently though Telma is called Teruma in the Japanese version. So I guess it's linked to that.